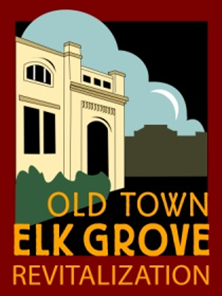 Mixing business and pleasure, The City of Elk Grove will present and seek design ideas at next week's monthly food truck event in Old Town Elk Grove. The monthly food truck event, which is held on the city-owned lot in Old Town Elk Grove now called the Old Town Plaza, will also host a pop-up workshop on ideas for residents to provide input on how the lot should be used. Since its purchase from Union Pacific Railroad, the lot has been used as an ice rink, a concert venue and has become the unofficial site of the annual Old Town Chili-Cookoff and Beer Brewing contest. The workshop is the first step toward a design that will eventually be presented for approval by the City Council. For more information about the project, please contact the City’s Planning Department at (916) 478-2265. The event will be held next Wednesday between 5 and 8 p.m. on the site located at 9615 Railroad Street (Elk Grove Boulevard and Railroad Street). How interesting.....we're taking city business to the streets now. Must be having a problem getting that buyer on board when the city resorts to conducting business with Food Trucks in the background, music blaring, trains & auto traffic noise, kids laughing & screaming, out of town visitors pushing locals aside, etc. Obviously another one of our illustrious Mayor Davis' ideas. Now my idea for the next big community meeting regarding this property..have it at Pins N Strikes so we can have a cool one while listening to all the cities great ideas on how to make Old Town a Destination. I honestly don't see how you're ever going to get anything more than what we now see in Old Town. The streets are narrow, there's no parking, it's old & dirty looking...just not a pull for this resident. I was so glad when my hairdresser moved to West EG Blvd. Heck, the Mayor even located his coffee business there, not in Old Town!